Teeth whitening is a relatively easy and inexpensive way to rejuvenate your smile. It can take away years of stains embedded in your teeth and even bleach the natural pigment of your teeth. The color of your teeth comes from within, so over-the-counter whitening products are a source of disappointment for many people. Whitening toothpaste or rinses can remove surface stains. But they don’t stay on your teeth long enough to penetrate to the dark color of the dentin—the living tissue beneath tooth enamel. Teeth whitening treatment from Dr. Weiss will penetrate deeply, break down embedded stains, and lighten dentin. Your smile will be dramatically whiter. Venus White Max® is a powerful in-office whitening system. We will retract your cheeks and coat your gums to avoid irritation from the bleaching gel. Dr. Weiss will apply bleaching gel to your teeth, and it will remain on them for about 15 minutes. After we suction the gel off of your teeth and rinse them, the process will be repeated. It can be repeated three to four times depending on the extent of stain in your teeth and your goals for the brightness of your smile. You will receive custom whitening trays to continue whitening your teeth at home and to do periodic touch-ups to maintain your bright smile. Your smile will be brilliantly white. Venus White Pro® take-home treatment can give you a radiant smile. Exam – It’s best to start take-home treatment after a dental cleaning and checkup. Dr. Weiss wants to ensure you don’t have any leaky fillings or sensitive teeth that could be irritated by the bleaching process. Impressions and custom trays – If your teeth and gums are healthy, we will take impressions of your teeth and make customized clear plastic trays that fit snugly over your teeth. These trays keep the bleaching gel in contact with your teeth. Whitening your teeth – Dr. Weiss provides customized trays and bleaching gel. 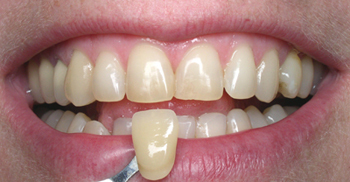 The trays have reservoirs in the areas of the teeth where whitening is desired. These reservoirs hold more bleaching gel to maximize the results. Wear the trays for a couple of hours each day until you have the degree of whiteness you want. 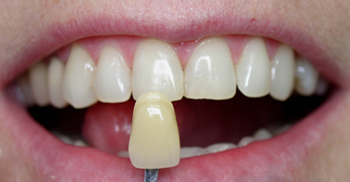 The photos below show how professional teeth whitening produces dramatic results. If you’re interested in a whiter brighter smile, call us to schedule an appointment, or complete our Request an Appointment form.